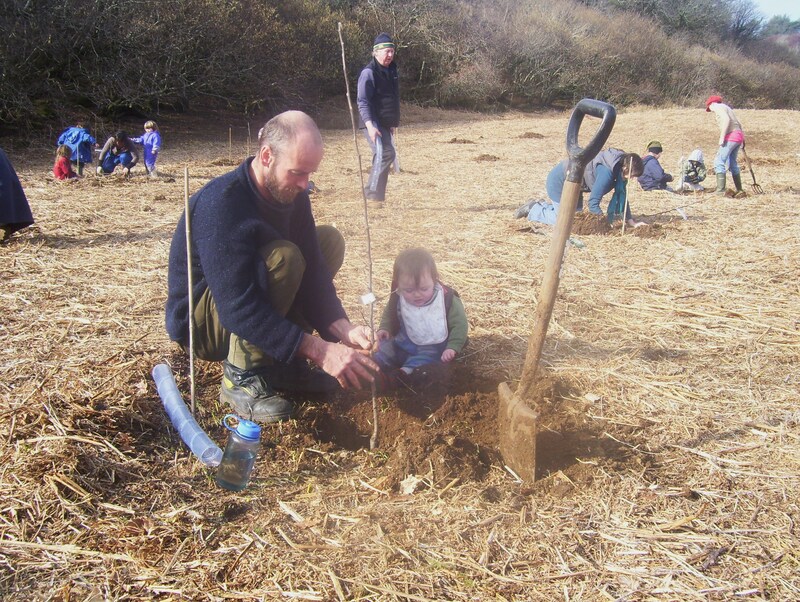 At last our community orchard here on Eigg is up and running after 24 adults and 17 children, along with some canine pals turned up to help with the planting on Sunday 7th March. The weather was glorious and the views from above Clanranald Harbour are worth a visit. 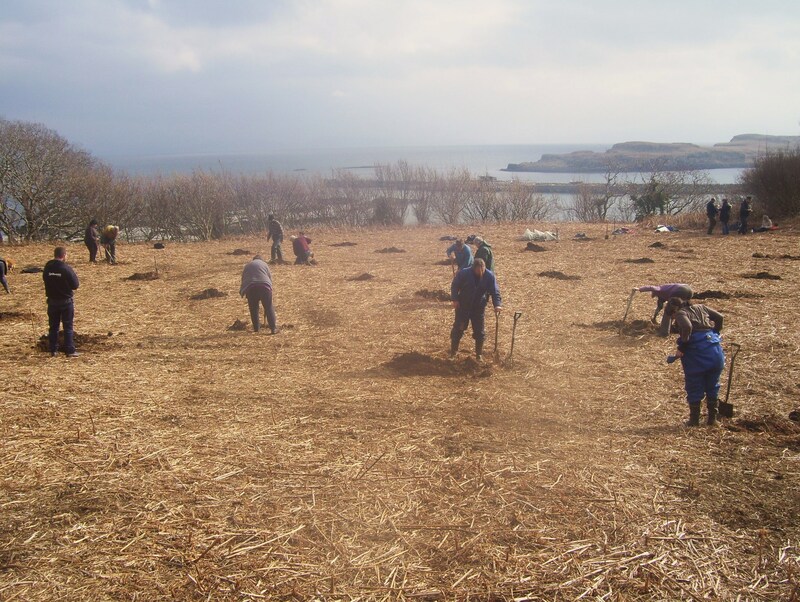 Forty four trees in all were planted (dessert and cooking apple, pear, plum & cherry trees). Fingers crossed that the majority of them will take and produce many fruits over the years. Some more tree’s will be planted at a later date once we see how successful this first batch are. Thanks to Eddie, Berni, Neil and Sue for their help in planning out the area and of course our funders Community Food and Health (Scotland). 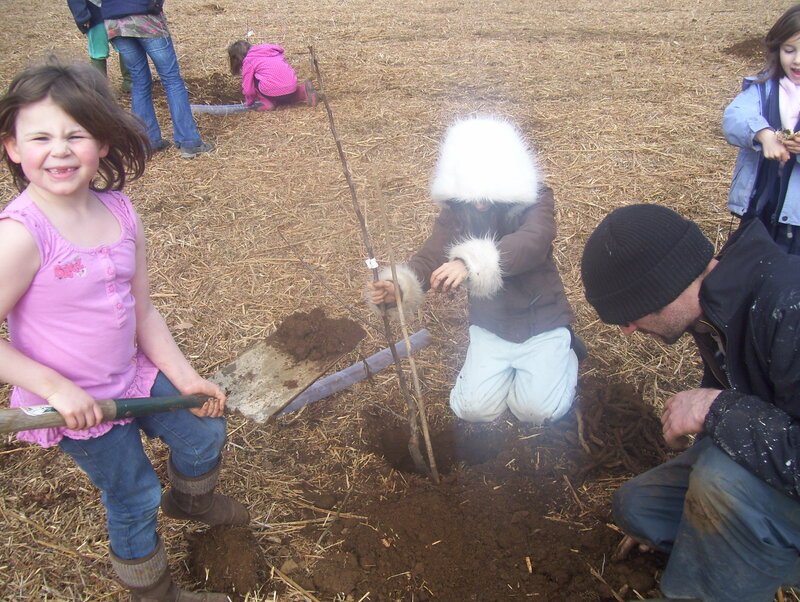 We look forward to reaping the fruits of our labours but its also nice to know that everyone from young and old alike are so enthusiastic towards this project and will be able to enjoy the orchard for many years to come. Yumm, when will the Eigg cider be coming on stream? 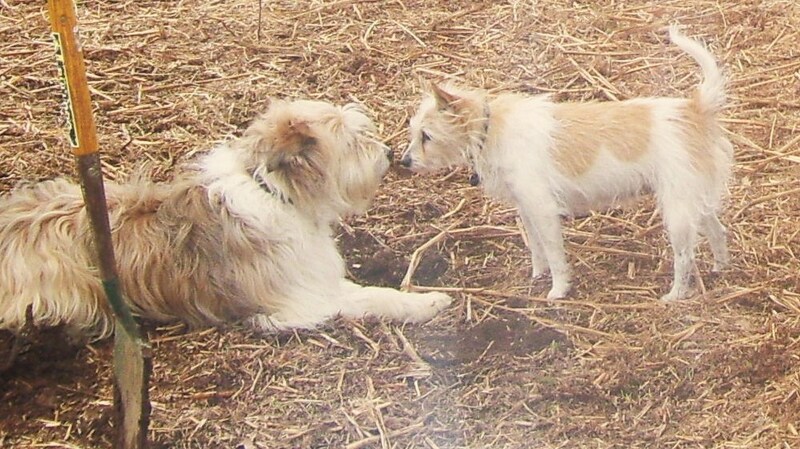 As soon as those apples grow!! Yes!, Hooray for the orchard!, I look forward to helping out and of course enjoying all the wonderful fruits! Well done everyone!